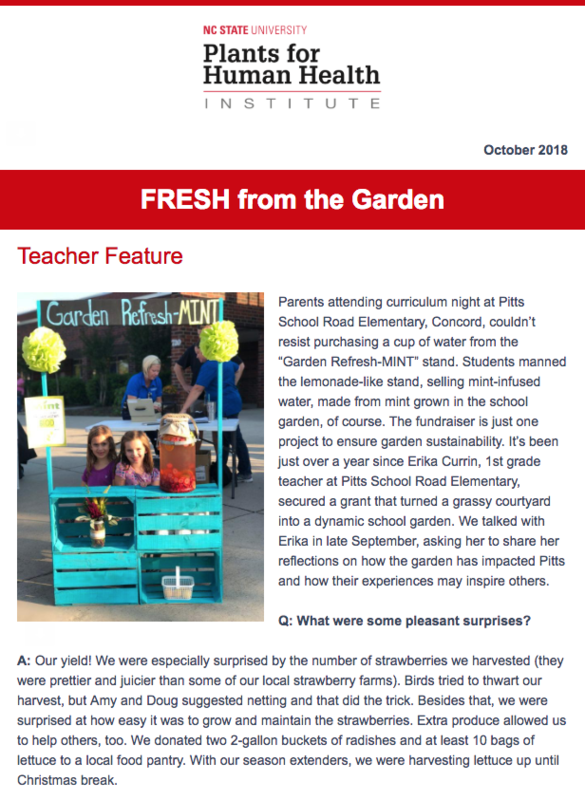 It’s been 1 year since Pitts School Road Elementary had a blitz build for their school garden. First grade teacher, Erika Currin, tells us about all the successes and challenges they’ve experienced in the past year. We’ve identified some great online resources that we love (and we think you will, too). We’re introducing the idea of a versatile digging bed…all digging, no planting. And as always, don’t miss the timely gardening tips.